See what's been going on within the F-TYPE Enthusiasts Club or around the F-TYPE world in general. NEW CLUB MERCHANDISE: Shown above are just some of the new club merchandise items we have available for purchase. Please click on any of the pictures to see larger images or contact mark.gregory@f-typeec.co.uk for more details. XKEC Sister club Member Neil Silverthorne is arranging a Members-Only tour of Northern Ireland on 2nd-4th June 2017. Activities will include visiting The Titanic Centre, visiting a private car collection, then a trip up the Antrim coat road to Bushmills to visit The Giants Causeway and also the famous whisky factory. He envisages a trip of 3 to 4 days maximum. Accommodation and travel routes are yet TBA but will be limited to a maximum of 10 cars. Regional Officer Barry Wood arranged a club picnic for members at Burghley House, Nr Stamford in Lincolnshire. A few F-TypeEC members came along to join members of our sister club, the XKEC, at the XK's 20th Anniversary Celebration Breakfast Meet at the British Motor Museum in Gaydon. The F-TypeEC and its sister club the XKEC held its annual Summer, Show & Shine event at Arundel Castle in West Sussex on Saturday 13th August 2016. 125 cars (F-Type's and XKs) were on display throughout the day on the Lower Castle lawns amongst an outstanding backdrop of the castle itself. A big thank you to everyone who attended. To promote our club further we have now purchased a new club gazebo, flags and banners. Here was our stand at the Summer, Show & Shine event with just some of our merchandise on sale. A few members of the F-TypeEC joined members of their sister club, the XKEC in a large display of cars at the Helmingham Festival in Suffolk. A few members of the F-TypeEC joined members of their sister club, the XKEC in a large display of cars on Copse Corner. Thank you to all those who attended. There was also a few Project 7s on display around the circuit as well which was a real pleasure to see. (see images below). Jaguar’s new, 200mph-capable supercar and the world’s most demanding race circuit, the famous Nürburgring Nordschleife, are now available to be experienced together with the launch of the ‘Jaguar Co-Pilot Nordschleife’ programme. This programme offers visitors the opportunity to experience the thrill of Jaguar’s fastest-ever series production car from the passenger seat around the 12.94-mile circuit. Customers booking their place for a flying lap in the F-TYPE SVR will be amongst the first to experience its power, speed and enhanced dynamics package. Before each passenger ride begins, all Co-Pilots are equipped with a race suit and helmet plus HANS (Head and Neck Support) system to ensure maximum safety out on the track. To capture the memorable experience, on-board cameras are mounted inside the F-TYPE SVR so that passengers can relive the excitement of their adventure at the Nordschleife circuit. The AV8 Cafe in Cirencester was once again the meeting point for breakfast on 11th June. A great turn out once again. Lincolnshire Regional Officer Barry Wood got together a few members for a picnic day at Kelham Hall & Country Park in Nottinghamshire. Well done Barry. East Midlands Breakfast meet took place on 28th May at Donington. It was a bit chaotic due to the popular Super Bike event but still 12 XK’s and 2 White F Type convertibles attended which was very much appreciated. Well another GROWLER event has finished and this was probably our best one ever. With record numbers at both Friday (63 people) and Saturday night dinners (118 people) and 150 cars in attendance at Stanford Hall on Saturday, followed by a 50 car convoy on Sunday to Lamport Hall, this event just gets better and better. Many congratulations to member Nigel Carter (see image) for winning "BEST F-TYPE" at the show. Many thanks to all those who attended and to Sturgess Jaguar of Leicester for acting our event sponsors and for also putting on such a superb display of cars at the main Saturday event amongst which was a Project 7 F-TYPE. Here's now looking forward to GROWLER 2017. 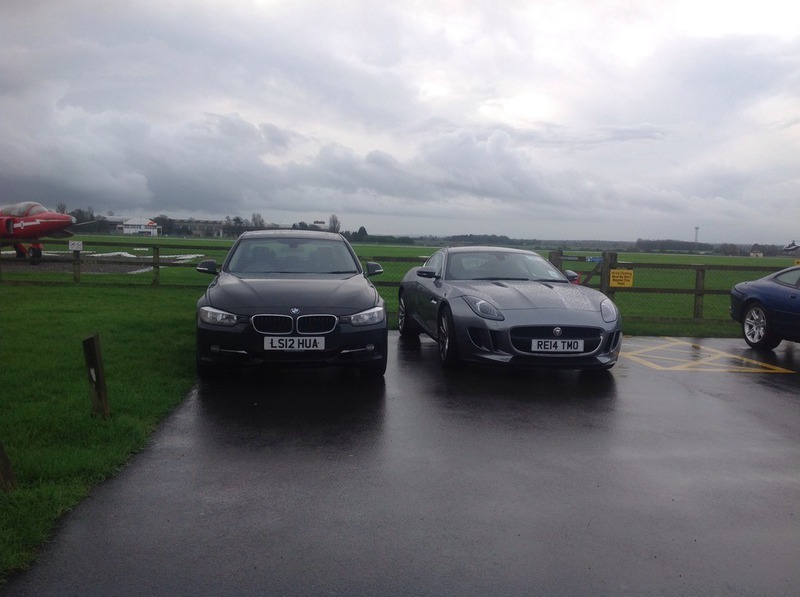 A couple of F-Type's was amongst our recent gathering at the clubs South East Breakfast Meet. This takes place every first Saturday of each month at The Toby Carvery in Badgers Mount in Kent. Please come along. You'll be more then welcome. The 441st follower joined our F-TypeEC Facebook Group today. Many thanks to all those who support us and join in all the fun. 24th APR 2016: Following the Concorde Gala Dinner on the Saturday night members then regathered for the SW Breakfast Meet at Fleet Air Arm Museum in Somerset on Sunday morning. 23rd APR 2016: A gathering of members at the popular monthly East Midlands Breakfast Meet at Donington. 23rd APR 2016: Members of both the F-TypeEC and its sister club the XKEC got together for a Gala dinner under Concorde at the Fleet Air Arm Museum in Somerset. 21st APR 2016: Lincolnshire Regional Officer Barry Wood gathered together some club members for their monthly meet at THE RED LION in Revesby, Lincolnshire. 13th APR 2016: The Jaguar Project 7MC Concept Motorcycle. Fusing two of Britain's finest, combining the base of a Triumph Speed Triple and adding design elements from the Project 7. 24th MAR 2016: The new Jaguar F-TYPE SVR has been put through its first high speed test drive with Fast and Furious star Michelle Rodriguez at the wheel. On a closed highway in the Nevada desert the actress pushed the car to its top speed with the speedometer indicating 201mph - a personal top speed for Michelle. The F-TYPE SVR is the first Jaguar SVR and fastest F-TYPE ever. Acceleration from 0-60mph takes just 3.5 seconds, with a top speed of 200mph for the Coupé. Priced from £110,000 for the Coupé and £115,485 for the Convertible. With the F-TYPE now three years old there is an interesting F-TYPE buyers guide in the April 2016 edition of Jaguar World Magazine. The article reviews what to consider when buying an early example, in terms of specification, colour and major recalls. There is also a small write up on his F-Type ownership at the end of the article by our F-TypeEC member Gavin Marsh. Go out and buy the issue now. 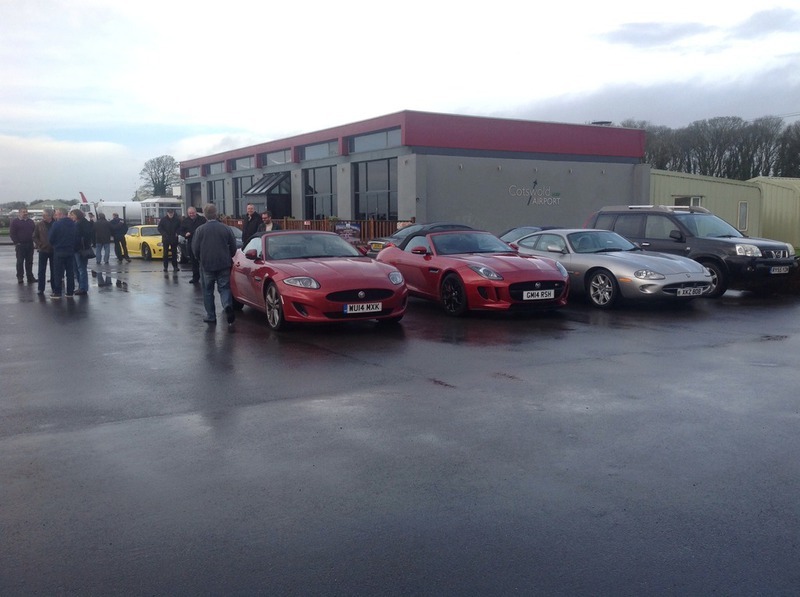 Another good turn out of F-Types and XKs at the AV8 Cafe Breakfast Meet on Saturday. Well done to all those who attended this very popular meet. The F-TYPE SVR will be the fastest F-TYPE ever with an acceleration from 0-60mph will take just 3.5 seconds, with a top speed of 200mph for the Coupé. Developed by Jaguar Land Rover Special Vehicle Operations it will be lighter, quicker, faster and more powerful whilst remaining tractable and useable for a every day car. Customers can specify and order their F-TYPE SVR now, ahead of the global debut at the Geneva Motor Show. Pricing will commence from £110,000 for the Coupé and £115,485 for the Convertible. Available now on iTunes. 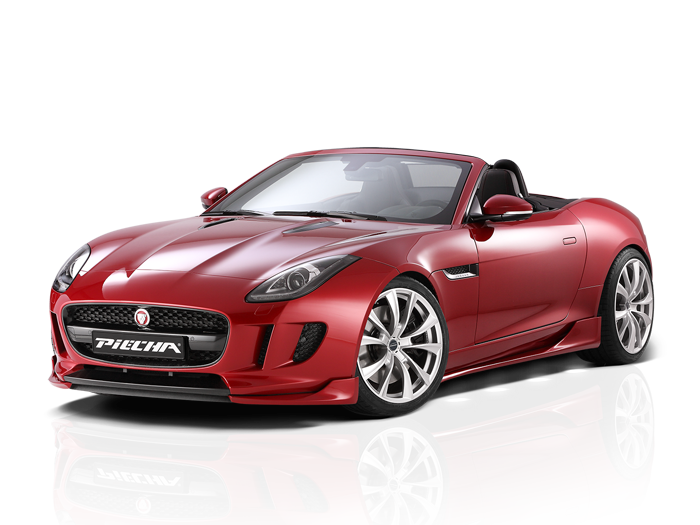 Experience Jaguar's F-TYPE for yourself with this stunning Augmented Reality iPad app. Photo realistic 3D modelling allows you to view the sleek exterior and luxury interior at your leisure as well as some classy exhaust sounds. Go download it now from iTunes. Continuing with its F-TYPE recognition, Jaguar have now further enhanced its creation by the launch of an all new exclusive British Design Edition. A gathering of members took place at our popular East Midlands Breakfast Meet at Donington on 23rd January. This event takes places monthly. Saturday 9th January 2016 saw our best ever attendance at a breakfast meet. Members all rolled up at the AV8 cafe in Cirencester and despite the weather what a great attendance. Saturday 2nd January saw our first 2016 breakfast meet of the new year which took place at "The Toby Carvery" in Badgers Mount, Kent. A great turn for the first of the year in what was very wet weather conditions. Thanks to everyone who came along and made a great start to our year. To launch their 2016 Collections JLR showcased their latest collection of branded goods in central London. A special ice-sculpture of a Christmas-inspired Jaguar design was exclusively revealed at the London Edition hotel to celebrate the merchandise and luxury goods launch. Codenamed ‘F-SLEIGH’, the Jaguar Christmas sleigh takes inspiration from the Jaguar F-TYPE convertible, but with skates in place of wheels, a generous open luggage compartment for gifts and jet power to generate Jaguar’s renowned supercharged performance through the night sky. A Growler-embossed red nose completes the F-SLEIGH’s Christmas theme. The new 2016 model year F-TYPE Coupé range will consist of: F-TYPE Coupé (340PS, RWD Quickshift / RWD manual), F-TYPE S Coupé (380PS, Quickshift RWD or AWD, RWD manual), F-TYPE R Coupé (550PS, Quickshift RWD or AWD). The new 2016 model year F-TYPE Convertible range will consist of: F-TYPE (340PS, RWD Quickshift / RWD manual), F-TYPE S (380PS, Quickshift RWD or AWD, RWD manual), F-TYPE R (550PS, Quickshift RWD or AWD). 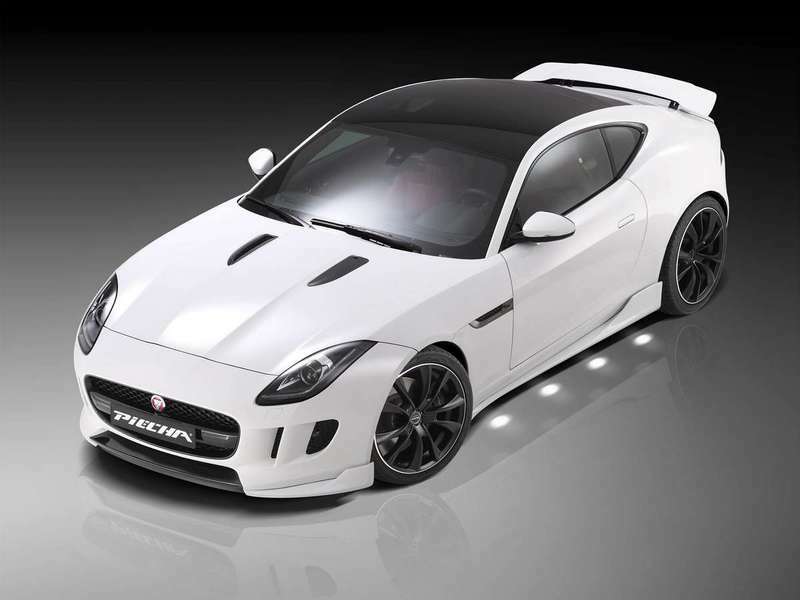 Hot Wheels have produced a small scale model of the F-TYPE Project 7. Available now. 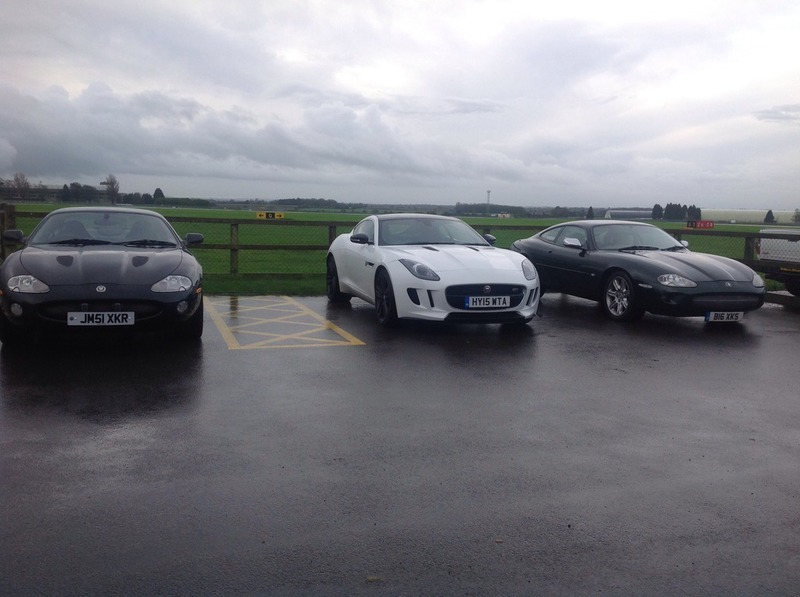 An F-Type owner turned up at our sister clubs East Midlands Breakfast Club. A beautiful white convertible. As part of our ever-growing venture to expand our club internationally we have now appointed member Yanick Uytterhaegen as our official Belgium Representative. His aim will be gather together local F-TYPE enthusiasts and owners and to invite them on events both locally and nationally. If any F-TYPE owners would like to join Yanick on his meets then please contact him direct via his dedicated BELGIUM page on our website. Since the model’s introduction in 2014, the Jaguar F-TYPE range has expanded from 3 to 6 models in one model year. Jaguar aims to continue this trend by doubling the number of F-TYPE models to 12 in the 2016 model year. The F-TYPE rear-wheel drive V6 models will now be available with a 6-speed manual gearbox to broaden appeal. The new transmission gets a short-throw pattern along with closely-spaced gear ratios and pedals optimised for heel-and-toe shifting. The F-TYPE S Coupe and Convertible models gain Jaguar Instinctive All Wheel Drive with Intelligent Driveline Dynamics as an option while the F-TYPE R Coupe and Convertible will feature it as standard. The AWD system operates on a torque-on-demand principle, sending 100% of the torque to the rear wheels during normal driving, while the system can send up to 50% of the torque to the front axle if it detects the rear wheels loosing traction. The 2016 F-TYPE now sports the 770 watt Meridian surround sound audio system, Jaguar Smart Key Keyless entry, SiriusXM Satellite Radio & HD Radio and 14-way power-adjustable seats as standard fitment. The Coupe models add a panoramic glass roof, which is designed to make the cabin airy, while the R Coupe models receive a power-assisted rear hatch as part of standard fitment. The F-TYPE S models will sport a flat-bottomed racing-style steering wheel along with driver-selectable Switchable Active Exhaust and Configurable Dynamic Mode as standard. What a great day we had at Beaulieu. With beautiful weather and a wonderful family location it was a superb day out once again. Here are some pics of the F-TYPE display at the event. Congratulations go to Natalie-Anne and Terry who won BEST F-TYPE on the day. A very nice array of F-TYPEs turned up at our GROWLER XII event on Saturday 16th May at Warwick Castle. Amongst the many F-TYPEs present was a new 2015 AWD F-TYPE for everyone to see. Shown below are just some of the photos taken at the show and also our official 2015 Growler XII video. Best F-TYPE award went to F-TypeEC member Gavin Marsh. Well done Gavin. A big thank you goes out to all those who attended and we look forward to seeing many more F-TYPEs on display at next years GROWLER XIII. 9th JULY 2015: F-TYPE SVR ? There has been lots of speculation about the prospect of an F-TYPE SVR and it may appear from this picture opposite that something may well be in the pipeline. This particular car was apparently spotted at the Nurburgring and it seems Jaguar could possibly be close to a production reality. 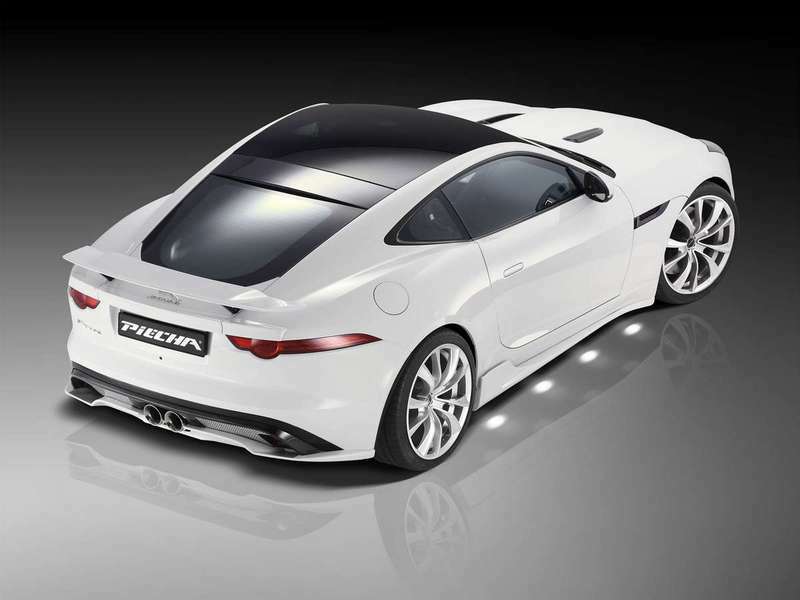 In a year of exciting new product launches, Jaguar will give debuts to four new cars at Goodwood Festival of Speed 2015. Jaguar is a technical partner of the Bloodhound Project and visitors to the famous British motorsport festival this year will see both XJR and F-TYPE R Coupé versions of Bloodhound SSC Rapid Response Vehicles take on the Goodwood Hill in spectacular style. Visitors to the Jaguar Land Rover stand will be able to try out the new Bloodhound SSC driving experience and take part in a live track experience of F-TYPE, accompanied by a pro driver. The Jaguar RRVs will be joined on the Goodwood Hill by the first production version of the new F-TYPE Project 7, the exciting new 340PS, 3.0-litre Jaguar XE S, and a selection of Jaguar’s most iconic heritage cars including XJ13, Group 44 E-type, Long Nose D-type, TWR XJS and Broadspeed XJ12C. World land speed record holder RAF Wing Commander Andy Green has performed vital high-speed parachute tests as part of Jaguars on-going technical support for this unique engineering adventure: creating a car that can cover a mile in just 3.6 seconds. To test this system ahead of the car’s first run, Jaguar fitted it to an F-TYPE R Coupé and ran it on a former military runway to over 180mph before firing the parachute. The test took place at the former RAF base in Bentwaters, Suffolk using an F-TYPE R Coupé with a modified rear window and structural supports through which Bloodhound’s unique teardrop shaped parachute cans were mounted directly to the car’s chassis. The stability of the F-TYPE Coupé and its dynamic ability - it will reach 60mph in just 3.9-seconds with a limited top speed of 186mph - enabled the successful completion of a vital test for the Bloodhound SSC team. Our first ever South East Breakfast meet went off very well indeed with a mixture of XKs and F-TYPEs attending. Members enjoyed a full english breakfast with teas/coffees in our own private conservatory at the Grasshopper Inn in Westerham, Kent. We was also blessed with good weather as well. A new Jaguar All Wheel Drive F-TYPE recently lead the Jaguar Mille Miglia convoy through the streets of Siena. Thought you might like to see this video of nine V8 F-TYPE R's roaring through some Italian Tunnels. Make sure you turn that volume up!. 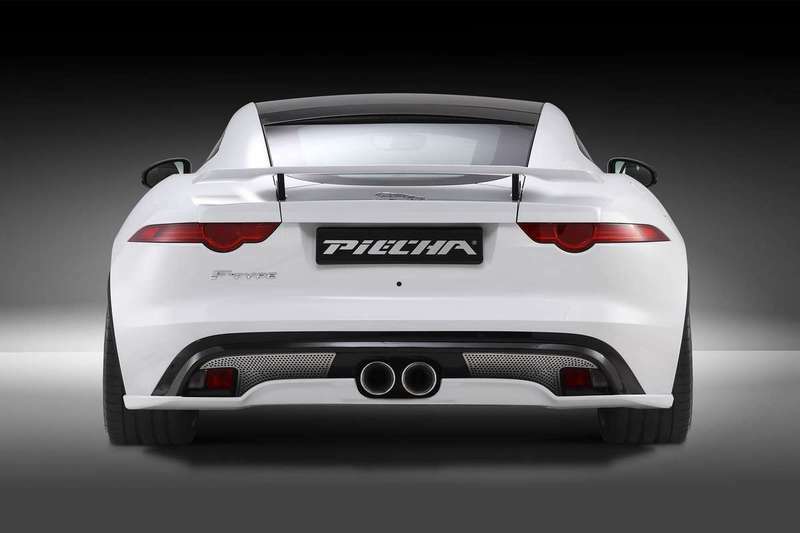 German tuning and design company PIECHA (www.Piecha.com) have released a brand new aero styling kit for the F-TYPE convertible and Coupe. A couple of F-TYPEs joined our joint clubs AV8 Monthly breakfast meet today. "Back in May 2015 our club celebrated its very 1st Anniversary. Thank you all for your support during our first eventful year and helping us reach the first of what we hope will be many memorable milestones." 600bhp F-TYPE SVR COULD BE ON ITS WAY? Recent rumours suggest there could seen be an even more powerful SVR F-TYPE model on its way. The model is said to have over 600 hp and extra goodies such as carbon ceramic brakes, carbon aero kit and active differential. It may also gain the option of all-wheel drive. Now that's going to be worth a look. 16th April 2015: Not sure if many of you saw it but the F-TYPE was shown on the Quest Channel programme "Cars that Rock with Brian Johnson". Brian was shown visiting the F-TYPE production line with Jaguar Design Director Ian Callum and also later tried out some "drifting" in the new F-TYPE Project 7. The Jaguar F-TYPE Coupé being driven by Jeremy Clarkson was shown on Top Gear back on Sunday 8th March 2015 at 8pm (BBC) and was then repeated again on BBC2 on Monday 9th March 2015 at 7pm. The Jaguar F-TYPE Coupé picked up three major UK awards during February 2015. The F-TYPE Coupé was crowned Best New Car at the Automotive Management (AM) Awards, Coupé of the Year in the UK Car of the Year awards and Sports Car of the Year in the ContractHireAndLeasing.com awards. Automotive Management picked the F-TYPE Coupé as its Best New Car over models like the Mercedes C-Class and Audi TT thanks to its “pulse-quickening performance and agile handling”. The judges were also impressed with the F-TYPE Coupé’s everyday refinement and value for money compared with rivals. 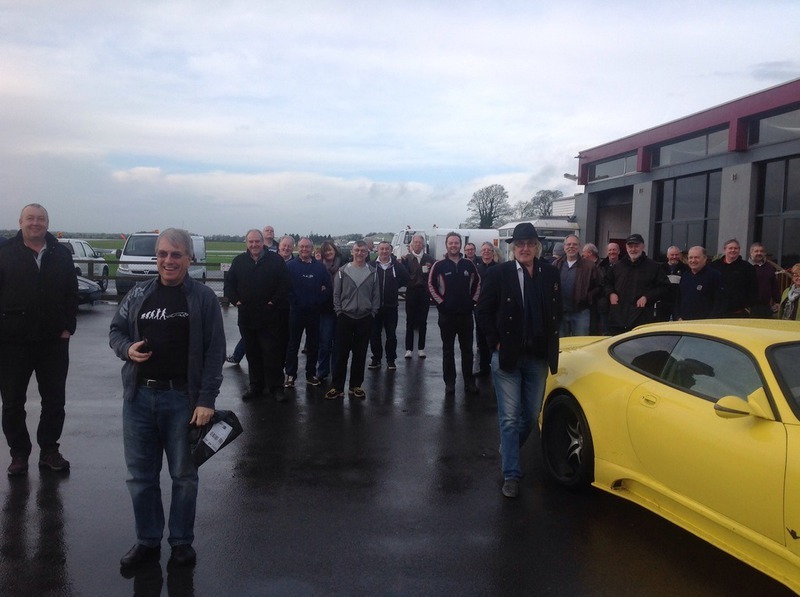 The clubs first East MIdlands breakfast meet of 2015 took place on Saturday 24th January at Donington. 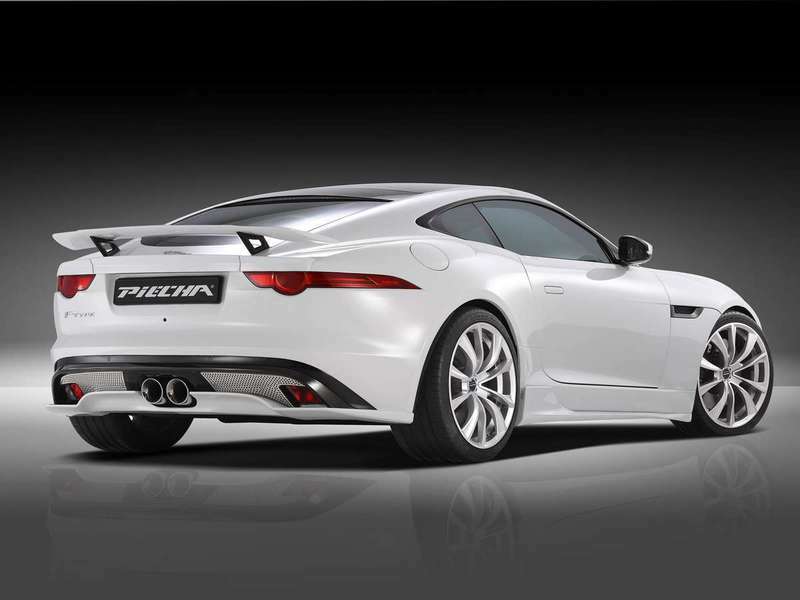 Jaguar have announced the release of an all new F-TYPE with six speed manual box during 2016. Many owners will no doubt prefer a manual box but how will it fair up against the auto? We look forward to comparing more details as they arise. Jaguar have announced that the addition of an AWD F-TYPE is just one of a number of performance enhancements to be given to the award-winning model range. Jaguar will be increasing the range from six to 14 derivatives in 2015. The full range was debuted at the 2014 LA Auto Show. Want your F-TYPE converted? Well, Arden can now do that pretty much for you. A couple of examples have already been revealed with different colour schemes and specific Arden tuning. Jaguar was named a winner in two prestigious categories of the Scottish Car of the Year Awards 2014. The Jaguar F-TYPE sports car beat stiff competition in the Coupé category, with the award presented to Jaguar Land Rover Head of Global PR Communications, Fiona Pargeter, by Association of Scottish Motoring Writers President, Alisdair Suttie. November 2014: Jaguar displayed a number of F-TYPEs at the 2014 Los Angeles Auto Show, amongst which were the Project 7 model and also the brand new AWD model. Hennessey Performance F-TYPE - Fastest ever ? November 2014: Performance company Hennessey have produced an upgrade through a new supercharger pulley, ECU remap, HPE induction system & uprated intercooler. They obtained 623hp and 568lb ft as opposed to the 550hp and 502lb ft created from the original model. The test car acheived 0-60 in 3.5 secs, on its way to an 11.57s quarter mile at 123mph. November 2014 - In the Hakskeen Pan desert of South Africa, the new AWD F-TYPE R Coupé recently ensured the Bloodhound SSC World Land Speed Record programme. The test marked the start of a new technical partnership between Jaguar and The Bloodhound Project, with the ultimate aim of raising the world land speed record. October 2014: Ian Callum and F-TYPEs were present amongst many other Jaguars at the 2014 Paris Motor Show. 9th August 2014: The F-TypeEC joined in the XKEC display at the Beaulieu Motor Museum in Hampshire. F-TypeEC Facebook Group follower Peter Gadsby won the "BEST F-TYPE" award and was awarded it by Chairman Mark Gregory. Well done Peter. This is one event not to be missed in 2015 so place it in your diaries, Saturday 8th August 2015. 3rd August 2014: The F-TypeEC joined in the XKEC display at the Helmingham Car Festival in Suffolk. There was also another F-TYPE (whose owner is now a member of the F-TypeEC) on display amongst the 800 other cars present. Proved to be a great day out for all the family. Will definately be on the club calendar for next year, date is 2nd August 2015. 26th July 2014: One of our members F-TYPES joined together with our sister club, the XKEC, as part of their club display on Copse Corner at the Silverstone Classic event over the weekend of 25th-27th July. Great weather and superb location brought about many attractions on the day. 21st July 2014: Jaguar has extended its support as an Innovation Partner to Team Sky by designing, engineering and building a bespoke F-TYPE Coupé high performance support vehicle for the team to use during Stage 20 of the race. Engineers working in the new Jaguar Land Rover Special Vehicle Operations team were briefed specifically to develop one vehicle for Team Sky, and this exciting version of the F-TYPE sports car is now set to support some of the Team Sky riders on Saturday 26 July during the time trial (TT). Bespoke features include a new racking solution, which carries two of the team’s Pinarello Bolide TT bikes. The vehicle exterior is finished in Team Sky’s famous livery, with colourways and other Team Sky graphic design features also present inside the car. Further specifications include a separate electric supply in the boot which provides power to the radios, amplifiers, microphones, horns and televisions which support communications between Team Sky’s Sports Director and the rider. 16th July 2014: The Jaguar F-TYPE R Coupé has been named Best Coupé at the Auto Express New Car Awards. Auto Express Editor-in-Chief Steve Fowler said: “The Jaguar F-Type Coupé isn’t just one of the best cars we’ve driven this year, it’s one of the best cars we’ve ever driven. It’s a pulse-raising machine when it’s sitting still. Fire up the engine and the excitement level rises even further. Then take it for a drive and you’ll be in raptures – this is a car that delights every single sense. It’s one of the best British sports cars for a generation.” The award was accepted by Jaguar Land Rover UK Managing Director Jeremy Hicks at a ceremony at The Grand Connaught Rooms in London’s Covent Garden, where the F-TYPE Convertible was also commended in the Roadster category. 7th July 2014: F-TYPE Project 7 made its dynamic debut in front of packed crowds during the Le Mans Classic race meeting over the weekend of 4-6 July 2014. In celebration of the Jaguar D-type’s 60th anniversary – a car which won at Le Mans three times and which inspired Project 7’s genesis – F-TYPE Project 7 completed its demonstration laps throughout the weekend alongside the very first D-type ever built, and with several examples of the all-new F-TYPE R Coupé. On-track, numerous Jaguars were competing throughout the 24 hours of Le Mans Classic, but the highlight was the victory in Grid 3 (for cars from 1957-1961) by the Jaguar-entered D-type driven by Gary Pearson and journalist Chris Harris. Register on our F-TypeEC Facebook page now and read all about Bob and Charlotte Otto's purchase of their new 2014 F-TYPE V8 S and their subsequent ride across Arizona, USA in their new car. 28th June 2014: Whilst attending an event at the Coventry Transport Museum we saw this unique F-TYPE on display in the special Jaguar Heritage Display. It is a 3.0 V6 and was the first ever production line F-TYPE, Chassis No 001, that came off the Castle Bromwich production line. It was presented to Jaguar Heritage at the gallery opening ceremony back on August 1st 2013. Apparently it was driven into the gallery by non other then Ian Callum through a screen where it was then formally handed over to Jaguar Heritage by Dr Ralf Speth, CEO of Jaguar Land Rover. 26th June 2014: Jaguar's F-TYPE Cutaway Chassis body was also on display at the Festival of Speed. 26th June 2014: Jaguar's F-TYPE Project 7 debuted at the Goodwood Festival of Speed. Already confirmed as Jaguar’s fastest and most powerful production model to date, it brought much attention amongst the large crowds. 25th June 2014: Jaguar confirms it is to build the F-TYPE Project 7 and will debut it at the 2014 Goodwood Festival of Speed. F-TYPE Project 7 will be Jaguar’s fastest and most powerful production model to date. They will produce it in an exclusive run of up to 250 units, hand-built by Jaguar Land Rover’s Special Operations team. It will be a fully road-legal two-seater roadster but more importantly staying true to the design ethos of the Project 7 concept unveiled in 2013. With 575PS and 680Nm from its 5.0-litre supercharged V8 petrol engine it will reach 60mph in 3.8-sec (0-100 km/h in 3.9-sec). First customer deliveries will begin from mid-2015. 21st June 2014: F-TypeEC and XKEC joined forces to attend a trip to Dover Castle in Kent and also a lavish picnic on top of the infamous White Cliffs. 10th June 2014: Members of both the F-TypeEC and XKEC were treated to a tour of the Jaguar Factory at Castle Bromwich on Tuesday 10th June 2014. Members saw some of the last XKs coming off the production line before its demise later this year and also saw new F-TYPEs being built. The event was kindly sponsored bySturgess Jaguar of Leicesterso a big thank you to them for continuing the support of both our clubs. The launch of the F-TypeEC was announced in the JULY 2014 edition of Jaguar World Magazine (page 14). 14th June 2014: Ian Callum at Club meet. Jaguars Design Director Ian Callum just happened to pop over and see our sister club members at one of their Breakfast Meets on Saturday 14th June 2014. He arrived in a red F-TYPE Coupe and happily took time out to talk with members and have photos done with them as well. Thank you Ian. We was very honoured to have a specially wrapped F-TYPE V8 convertible on our club stand at the Bromley Motoring Pageant event on Sunday 8th June 2014. The car as you can imagine brought in lots of attention for the club. Our very own son Jack Gregory recently attended the Clerkenwell Design Week where three F-TYPEs were on display. Jaguar UK was the headline sponsor of the event which featured the new Jaguar F-TYPE Coupé sports car. The F-TYPE Coupé is the realisation of a long-held ambition of Jaguar Director of Design Ian Callum; the ultimate expression of Jaguar sports car DNA. One of the F-TYPEs present also featured a unique body exterior wrap. Three F-TYPEs were recently on display at the XKEC's GROWLER XI event which was held on Saturday 17th May 2014 at Coughton Court in Warwickshire. On display amongst the 180 XKs were a 2014 V6 F-TYPE coupe, a red V8 coupe brought along by Nichola Moore of Sturgess Jaguar of Leicester and an orange convertible. The Jaguar F-TYPE Coupé has been produced on canvas by renowned automotive artists, Tim Layzell. “I was, of course, very excited,” said Tim. “To me, the F-TYPE Coupé is everything a sports car should be: beautiful, fast, and it sounds amazing. New Jaguar ambassador Jose Mourinho was the first customer in the UK to receive a new F-TYPE coupe in April 2014. José Mourinho’s new F-TYPE R Coupé was personalised according to the exacting tastes of football’s master tactician. Specification highlights of Mourinho’s F-TYPE R Coupé include Stratus Grey Metallic exterior paint, 20-inch Gyrodyne Black and Diamond Turned Wheels with Red brake calipers, Panoramic Glass Roof and a 12-speaker Meridian Surround Sound System. The Kent launch of the Jaguar F-TYPE took place back in June 2013 at Lancaster Sidcup. More than 200 guests were present and they were also treated to the first screening of the 10 minute launch film "Desire" starring Golden Globe winner Damien Lewis and specially commissioned by Jaguar and made by Ridley Scott Associates. Welcome speeches were also given by Ian Barrow, General Manager at Lancaster Sidcup and Matt Dunnakey, Head of Jaguar UK Dealer Marketing.